Welcome to Lockhart Leisure. 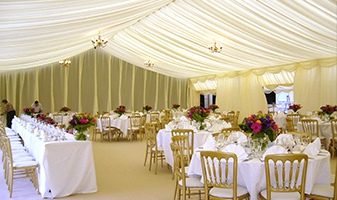 We supply a great number of marquees each year all over the country for all manner of events, from the most lavish of wedding receptions to the buzz of music festivals. Lockhart Leisure was formed in 1990 the owners have been established in the hospitality business for well over 30 years providing high standards of service and customer care. We fully understand the requirements needed to support all types of events from a small private function to catering for large corporate events and weddings. You made our day! The marquee was a triumph. Huge thanks to you, Liam and your team for the sheer professionalism executed before and after our daughter Kate's wedding. Good luck in the future. I am writing to say a huge thank you to you and your staff for the provision of a marquee for Keswick Jazz Festival last weekend. Everything went extremely smoothly despite the weather. The teams on site were brilliantly helpful and efficient, so please do pass on our thanks to them. 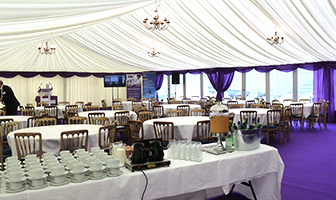 Organising a festival can be stressful, but when it comes to sorting out your marquees we are here to help. 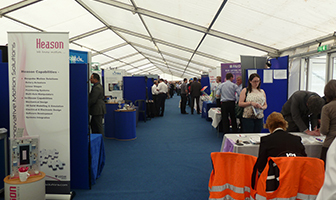 With years of experience supplying a host of festivals with marquees and equipment we help to ensure your event will be a success. Copyright © 2019 Lockhart Leisure. All Rights Reserved.